If you've been waiting for even more Baked With Love, then today is your day! 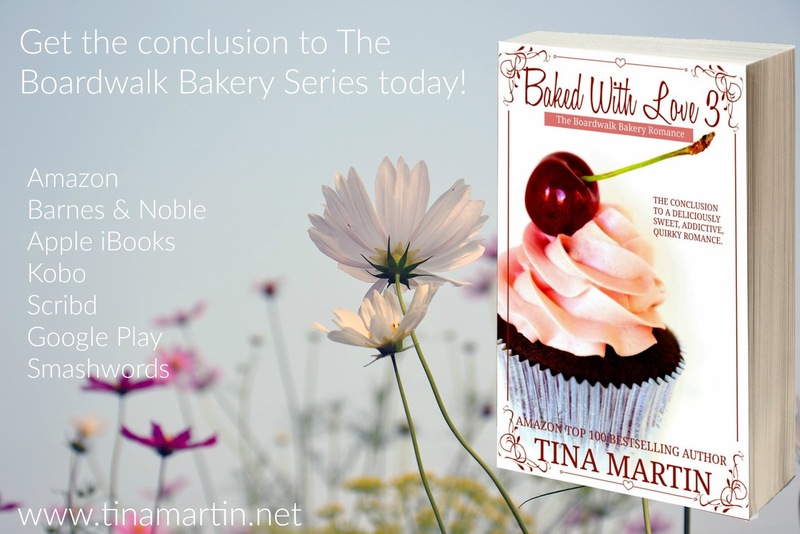 Baked With Love 3 is now available at Amazon and Barnes & Noble. What to expect in Book 3? Answers to all of your questions? Will Gemma make it? Can Ramsey and Gianna's relationship survive the turmoil that's going on in her life? Can a man who's dodged love for fifteen years finally commit to a woman? How can a woman who's accustomed to being independent and doing everything on her own trust and rely on a man who seemingly came out of nowhere? Find out in the conclusion of The Boardwalk Bakery Romance Series now!